Handsome, stitched portfolio reflects your attention to detail! This Renaissance Padfolio is made from lush Italian-style leather. Storage options include a gusseted file pocket, interior organizer, pen loop and exterior pocket. Meeting notes or jobsite observations can be jotted down on the included 11" x 8-1/2" writing pad. 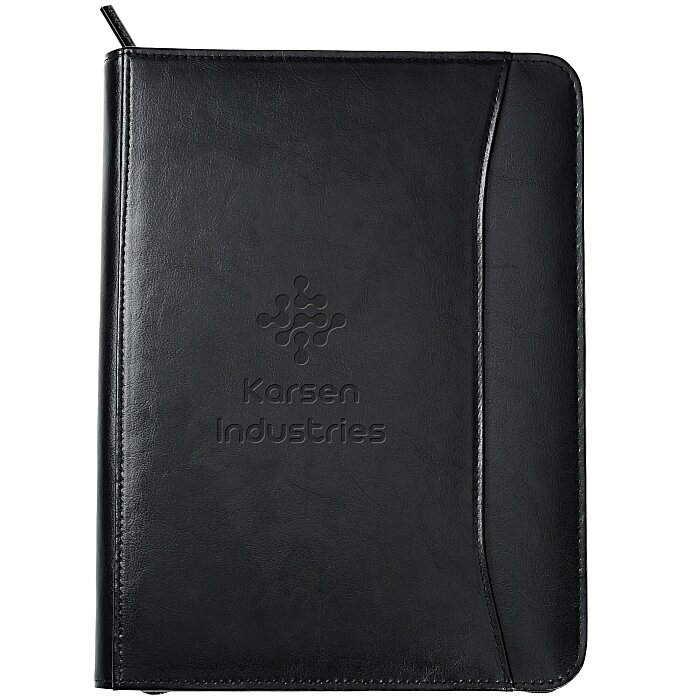 To purchase a non-zippered version of this padfolio see item #3297Renaissance Leather Writing Pad. If you need this item sooner, see item #141-24HR for our 24-hour service. Size: 13-3/8 x 10 x 1". Additional imprint locations are available for an extra charge. Set-up charge add $65 per location.